Non-formal education is really important in our organisation and hundreds of trainings are delivered to our members every year. Trainers are those who share their skills and their knowledge with participants. 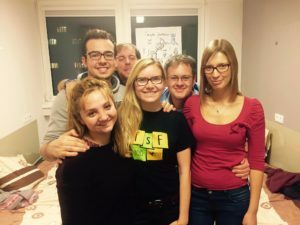 A group of 13 trainers from different AEGEE locals gathered in Wrocław from the 13th until the 15th of January for the 2017 edition of the Trainers’ Forum. Along with 100 other young trainers from other NGOs, they spent three valuable days discussing, practising and sharing their experiences with training and non-formal education. What is the Trainers’ Forum? Antonis: Officially, the Trainers’ Forum (TsF) is an international conference for trainers and facilitators with various backgrounds. Unofficially, it is an opportunity for any trainer or facilitator, regardless of experience, to get a glimpse into the magic world of trainers, see new topics and approaches in non-formal education, get inspired by the work of other trainers and even form alliances that will have an impact on society. 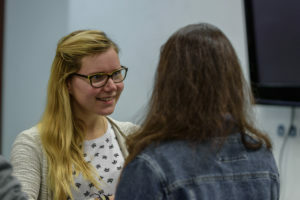 Zsofia: Trainers’ Forum started out a few years ago, as an informal gathering for youth trainers and, by 2017, it has become an official conference for more than 100 youth trainers from NGOs of many disciplines. It is a great event for trainers to share best practices, reflect on the current trends in non-formal education and build their professional network. 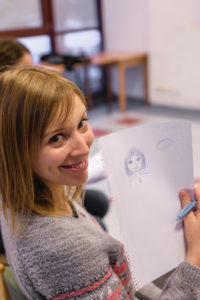 Petra: TsF took place in a lovely Polish city, Wrocław, in the second week of chilly January from the 13th until the 15th. During these dates, the temperature was low, but coffee and tea breaks and hunting the famous 350 Wrocław dwarfs kept us warm. There were several of them near the Wrocław University of Science and Technology, where we had our sessions, and nearby the dormitories, where we stayed in bedrooms for two and three people. 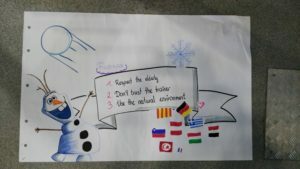 Who were in the AEGEE “Delegation” ? 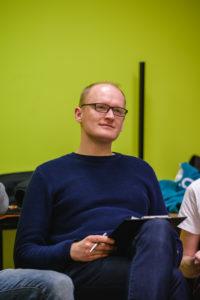 Balázs: There were 13 people from all over the Network, namely Anna Ziętkiewicz (AEGEE-Wrocław), Antonis Triantafyllakis (AEGEE-Academy/AEGEE-Cluj-Napoca), Balázs Kovács (AEGEE-Debrecen), Emanuel Knodt (AEGEE-Bamberg), Jorge Miguel Vielva (AEGEE-Valladolid), Jorge Sánchez Hernández (AEGEE-Dresden), Mayri Tiido (AEGEE-Tartu), Noémi Lőwy (AEGEE-Debrecen), Paolo Ghisleni (AEGEE-Bergamo), Paweł Cieślak (AEGEE-Warszawa), Petra Buruzs (AEGEE-Budapest), Urša Svetelj (AEGEE-Ljubljana) and Zsófia Komáromi (AEGEE-Budapest). Zsofia: It was great that this edition of TsF brought together trainers from several generations and many different locals. This also allowed us to learn from each other and discuss the current projects and challenges in AEGEE. Paolo: It was cool! More than a hundred trainers from very diverse backgrounds were a wonderful playground for all of us. We had the chance to experience trainings from both trainer and trainee side. We experimented, discussed, challenged each other. I could not really ask for more. Mayri: The experience was one of a kind, especially with so many people from a wide range of countries and organisations. When talking to someone new, you never know what their story is, you only know that everybody who was there was a trainer. The days were rather long and intense, but filled with interesting content and discussions. The event gave me a lot, and, as Paolo said, I could not have asked for more. Jorge: It was an amazing experience. I had the great opportunity to learn and be inspired by different trainers, coming from everywhere in the world. The schedule was quite intense, but we could still find some time to get to know some of the awesome people who were around. It was a great group of folks to talk to. I would love to come back to another edition [he smiles, ed.]. Noemi: It was my first time attending this international event. I was quite happy and proud to see so many familiar faces from AEGEE. I really enjoyed it, as the participants were coming from all over the world and having various backgrounds (students, representatives of youth organisations, professional trainers) made this experience quite a unique one. 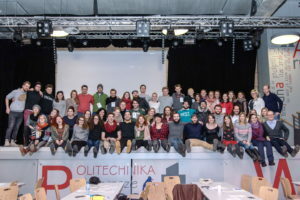 We had very good discussions and creatively inspiring training sessions in the modern buildings of Wrocław university. I was very happy to have a chance to take part in the Forum, where everyone was open and eager to spread knowledge and learn from each other. Petra: Being part of the big trainers’ world was fascinating, impressive and inspirational at the same time. Everyone was hungry to learn new methods, tricks and practices. 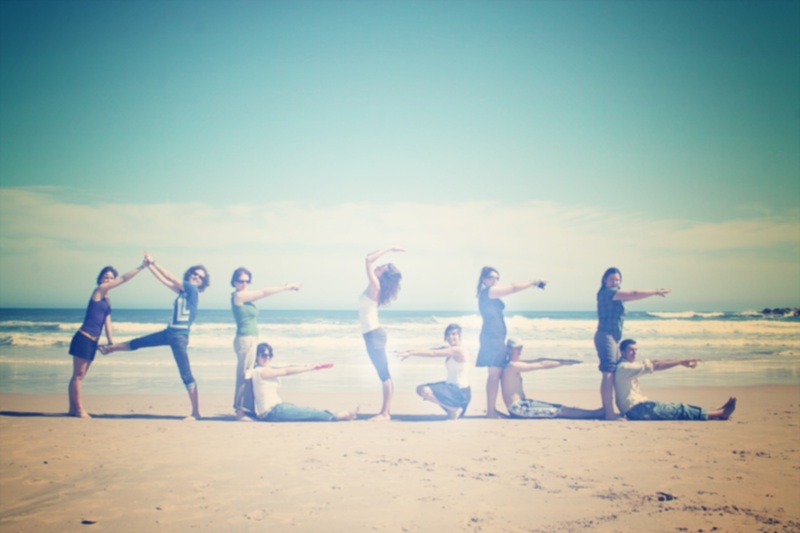 Sometimes I felt that training the trainer is like healing a doctor, a pretty hard, but not impossible task. I strongly recommend attending TsF at least once, it is a milestone in a trainer’s life. How was its structure? Which sessions took place, what kind of skills were required, what was the outcome? Jorge Miguel: The event lasted for two days and a half, plus an extra day prior to TsF, dedicated to an Open Training Day (OTD). During the OTD, on Thursday, many trainers delivered training sessions on different topics for local students, as well as other trainers participating in TsF, who wanted to attend those sessions. TsF started on Friday morning with an opening ceremony and team building activities, where the trainers participating in TsF reflected on their personal goals for TsF and set their mindset for the event. Then, for most of the remaining part of TsF, there were nine training sessions or workshops in parallel, among which the more than 110 trainers participating in TsF were distributed. There were more than 100 sessions in total, on a lot of different training-related fields. 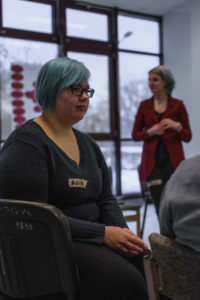 On Sunday, there was an Open Space where people could suggest new sessions to discuss, on topics they still felt necessary to address. Finally there was the closing of the event, with hopes that new editions of TsF will take place soon. In general, TsF was very diverse, with sessions of all kinds in parallel, trainers coming from different fields and organisations and with very different experiences. Some of them had thousands of hours of experience as trainers, while others were taking their first steps as trainers. Because of that, the outcomes are also very different, depending on each person, but for most, it was a boost of energy and ideas and an opportunity to develop trainers’ skills, discuss training-related topics, create connections with other trainers and think about future projects. How important is non-formal education in a youth organisation? Balázs: Everything we carry out in AEGEE is, at its core, based on non-formal education (NFE). We can learn a lot by doing. We can improve ourselves through the experiences we gain, in the form of developing our skills, competences and attitudes. Ideally, we also gain in-depth awareness about these processes and become capable of explaining why NFE, and especially informal learning, matters these days. You can read more about the topic in the “NFE Book” of AEGEE by clicking here or by directly approaching the AEGEE-Academy, our association’s pool of trainers. Paolo: I am firmly convinced that non-formal education will be a big trend in the future and it will represent the avantgarde of learning processes and educational models. We have the chance to try, experiment and fail, in a way that a formal environment will never allow, and this gives NGOs like AEGEE a unique opportunity. I really hope that we will not miss it.